Wifi from a manhole cover!? What next? A thought provoking piece around city architecture and the integration of technology into our everyday environment. Fascinating developments taking place with furniture hotspots the next big thing in development. This will present greater challenges for planners and developers as consumer reliance on technology increases all the time. We are seeing these challenges in our clients modern developments even now. In commercial developments, digital signage options and moving tech signs are being considered. Will they last? What if they break? Will tenants appreciate something they think is "free". I can see the same issues cropping up for management companies in developments. Local authorities don't want to take these items in charge so they become service chargeable. or do they? Will consumers, tenants, owners and service charge payers be happy to pay for infrastructure they "feel" ought to be free to air. Start-up companies Soofa and Strawberry Energy, among others, have installed “smart” benches with solar-powered charging stations in parks and on streets in cities across the United States and Europe. 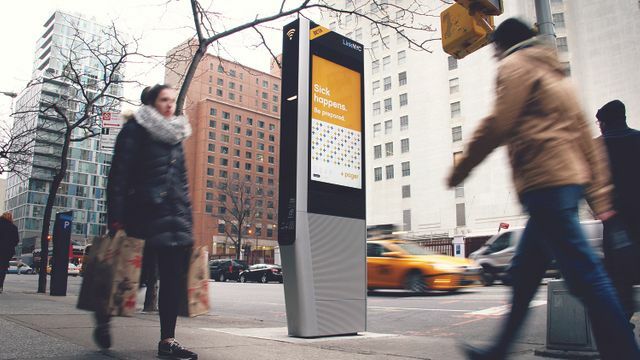 In New York City, a partnership of companies has begun replacing thousands of pay phones with wi-fi and charging-station kiosks, and a company called Bigbelly Solar has been piloting street-corner garbage/recycling bins that sport solar-powered wi-fi hotspots. A U.K. cable company, Virgin Media, created wi-fi hotspots from specially designed manhole covers in Chesham, a town on the outskirts of London. And a telecommunications company in the United Arab Emirates, called du, plans to deploy solar-powered wi-fi hotspots around Dubai in artificial palm trees in parks and on beaches.